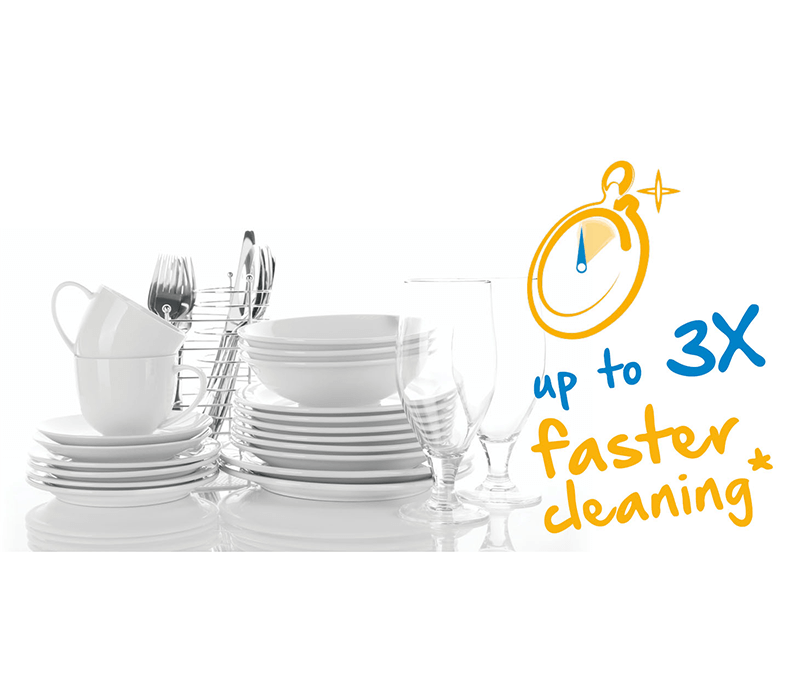 • Increase in cleaning performance up to 5 times. • It saves time since there's no need of handwashing. This helps lower the noise and energy consumption. 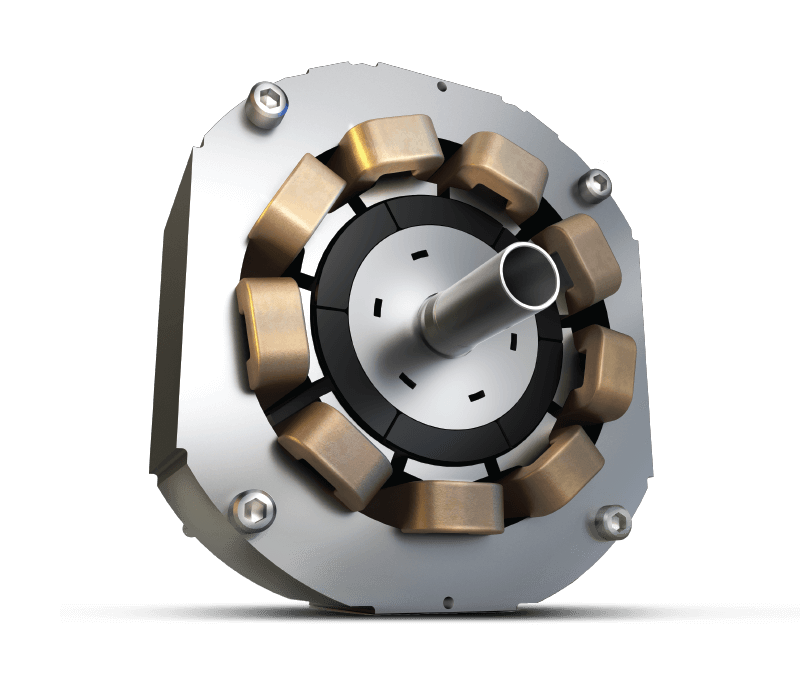 Due to its magnetic design, the motor has a low frequency, and fewer vibrations. The absence of bearings in the design also helps reduce mechanical noises. 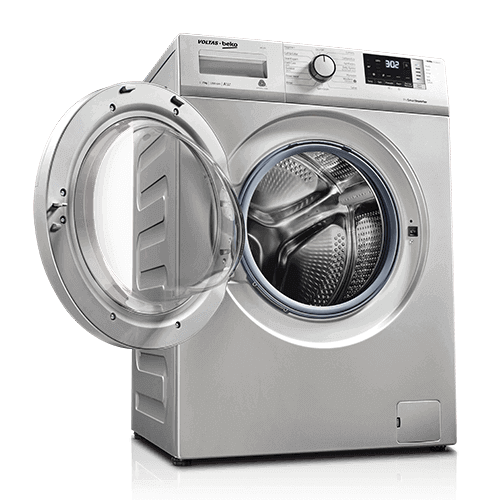 • Variable speed circulation motor allows you to regulate the amount of water and energy. 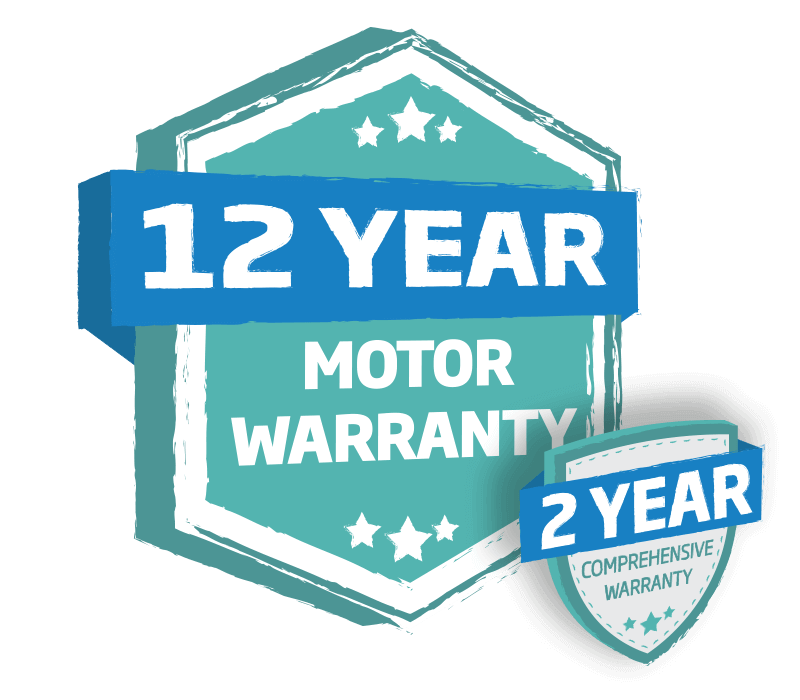 The ProSmartTM Inverter Motor enables efficient energy consumption and reduces friction in the motor. There are no bearings in the design so that mechanical noises are lower. Along with that, the motor produces less vibrations due to its magnetic design. 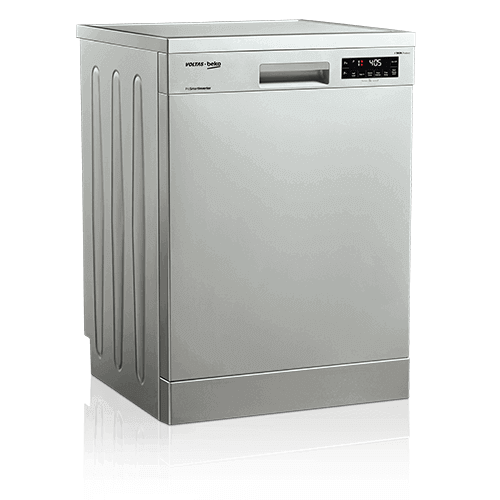 • Up to 70% faster cleaning performance than an average dishwasher. Whether it’s porcelain or plastic. 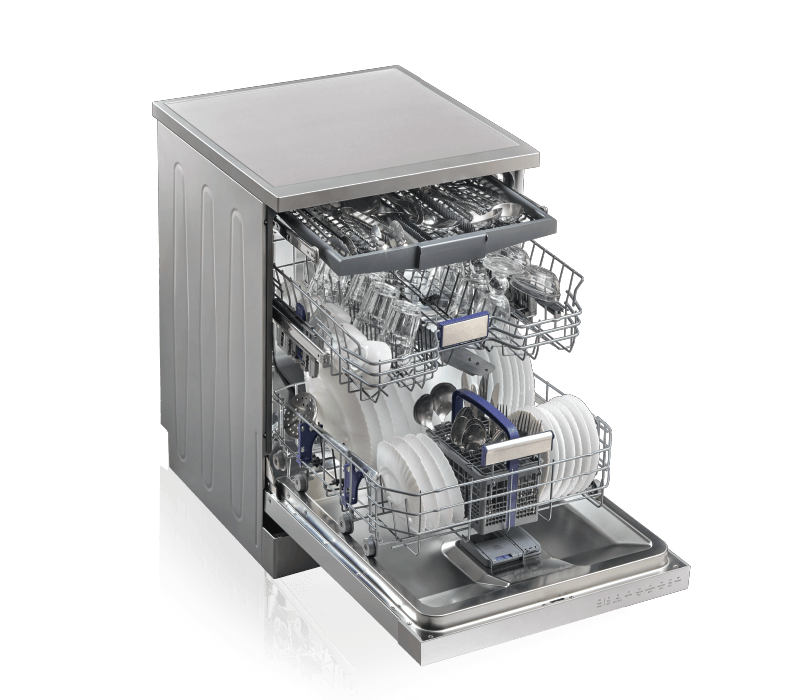 AquaFlexTM enables adjusting water pressures to the lower and upper baskets gently, providing A class washing and drying results for all kinds of dishes. 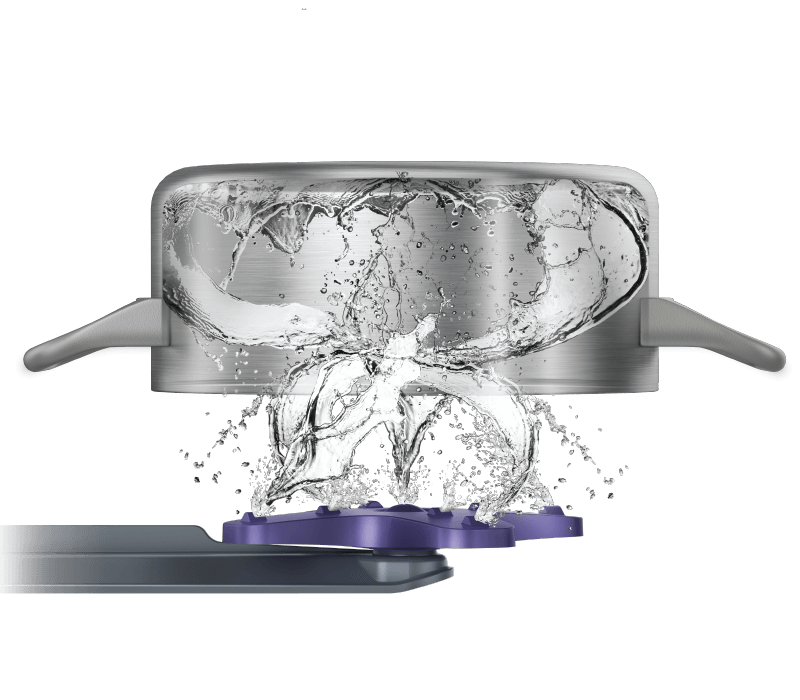 • AquaFlexTM technology provides efficient and gentle washing for all kinds of dishes. 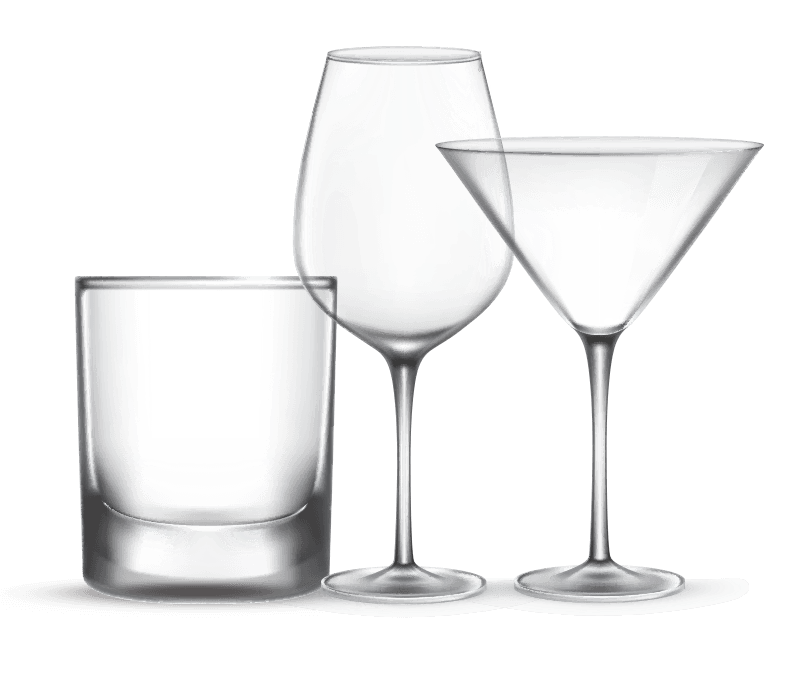 Give your dishes Ultimate Glass Care. 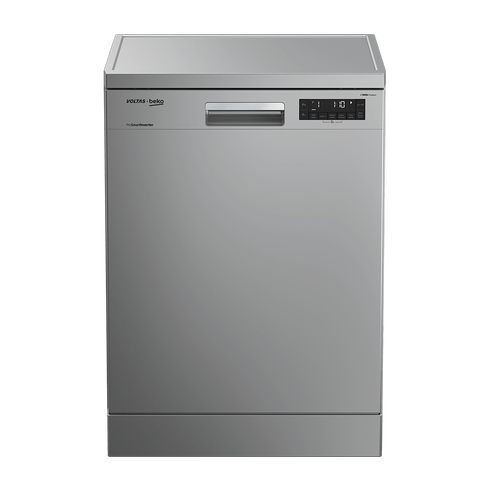 Water hardness inside the dishwashers can be regulated manually by optimizing the mixture of water from the tap and water from the softening unit. 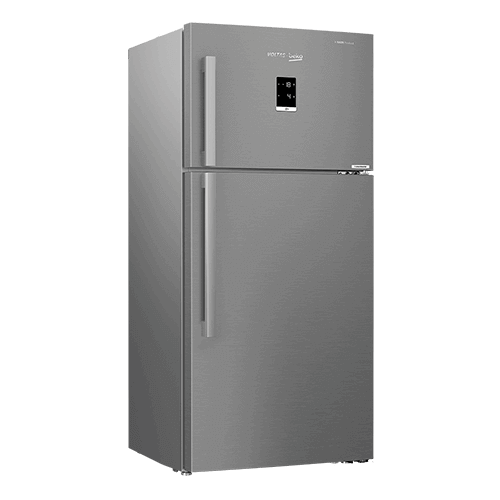 With this technology, better protection against glass corrosion is obtained compared to standard dishwashers. 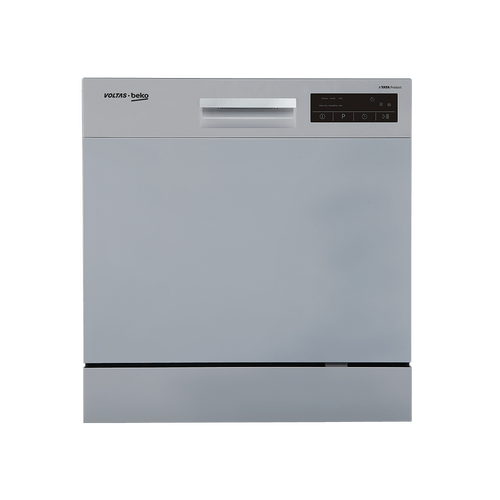 With an extended heat application of 10 minutes inside the dishwasher,the size of the water droplets is reduced and glossiness is improved. • Protects glasses from cloudiness and irradiance. • Enables you to dry your glasses without losing their brightness. Your glasses will shine 23% more with the help of steam technology. 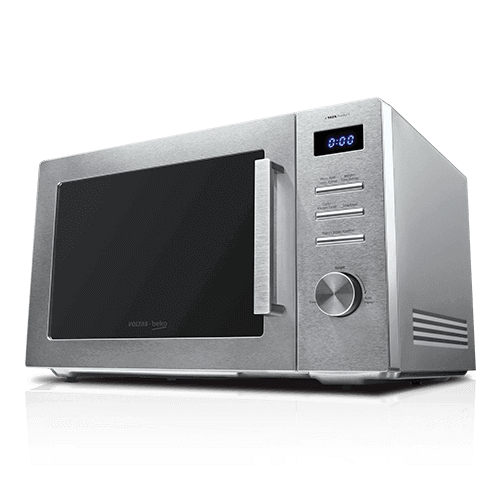 Perfect for lightly soiled dishes and glasses, the Mini 30’ Program washes a full load in 30 minutes at 35ºC, thus saving time and energy. • Time and energy saving. 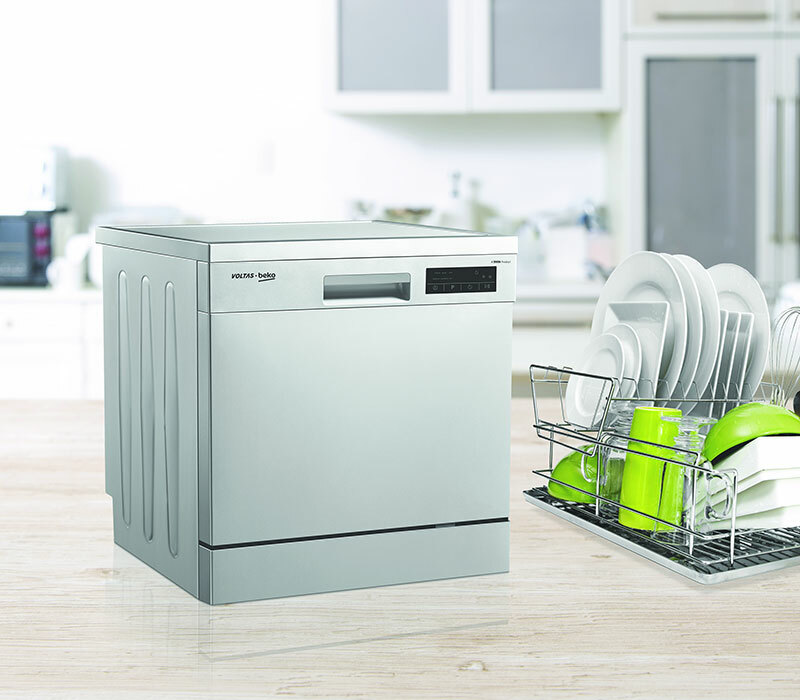 The new Voltas Beko dishwashers come with a warranty that will ensure you enjoy the state-of-the-art technology for a long time. Please note that the motor warranty is 5 years for Table top dishwashers. 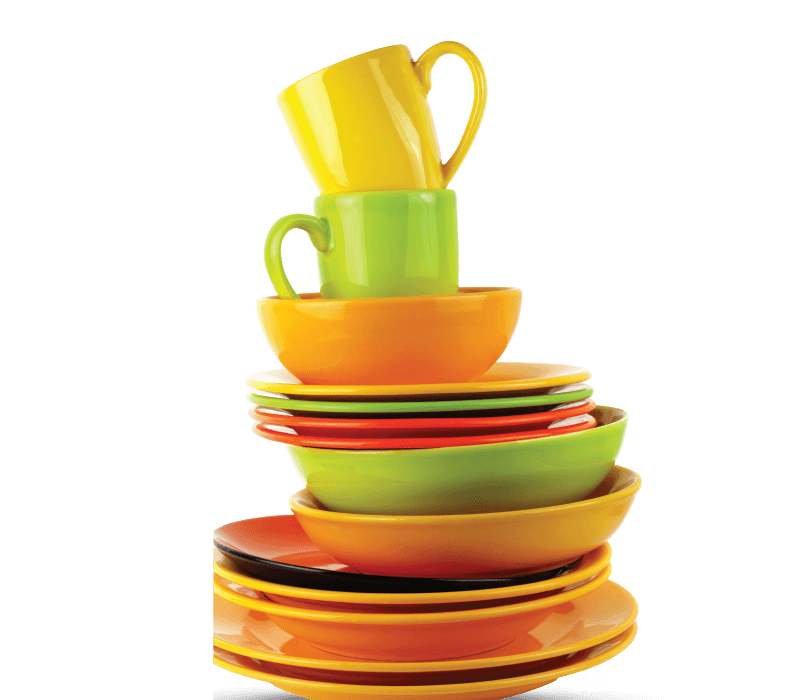 Table top models are easy to install and accommodate even in crammed kitchen spaces.